Following in the footsteps of the 2009 year in review I thought it would be interesting to gather the same information and post them here. Some of the results are to be expected, others are a surprise. It’s interesting to see the trend in this information as a lot of what appeared wasn’t available or accessible to me until the last half of the year. I really, really wanted to know when the sixth season of Lost soundtrack was going to be released. And when I found out there was a second release for “The Last Episodes” I used the same search query later in the year. I don’t understand what * and from:53.522911,-113.520347 to:53.522911,-113.520347 are doing there, perhaps * is a blank query but I can’t see it happening that much to claim the second result on my query. The third entry are longitude and latitude coordinates for near the Timms Centre for Arts on University Campus, which makes no sense to me. In July the World Wide Photo Walk was held there but I can’t understand how I searched directions to and from the same location for a one day event enough times to make it the third result. I searched for the arrival of three packages enough to make them in my top ten, I guess it’s hard not to be compulsive when you track something travel across the country. I used my personal Gmail account to look at my Web History so the results are from searching while logged in with that account. My busiest month for searching was in December with 1,320 queries recorded, and my least active month was in June with 628. Wikipedia was my top site in 2009 and it holds strong this year, and there were three other results that stayed in the top ten from last year. The combination of answers.yahoo.com and ehow.com appeared because they were a resource when it came to home improvement questions that came up in the condo and house. The rest are my compulsive nature to rename TV show episode titles and checking IMDB to answer the question “Where do I know that guy from?”. Bear McCreary is knocked off the top spot in place of Lost composer Giacchino. Like my search queries above indicated, I really wanted to listen to the season six soundtrack of Lost and listen to it I did. The first season six album was released in August and the second was released in October so there wasn’t much time to shoot it up to the top of the charts. Overall the number of plays in my “Top 10 Artists” are down from 2009 but I think those plays were distributed to other artists outside of the top 10. I found it difficult to see how many tracks I listened to within the calendar year so I wasn’t easily able to verify this but my listening habits at home, work and on the iPhone all stayed consistent so I would suspect the tracks played stayed similar too. There are 12 songs listed here but with a five way tie for eighth I had to include the extras. Guess which soundtrack I listened to a lot this year? The non-Inception Zimmer song was from the second disc of The Dark Knight soundtrack, which got a lot of plays when I discovered its existence in February. There weren’t as many flights in 2010 as there were in 2009, but there were passport stamps in England, Paris and Iceland. I drove my VW Jetta TDI over 14,000 kilometers and filled up the vehicle 17 times. I didn’t file a single police report this year but I did have someone threaten civil action against me. 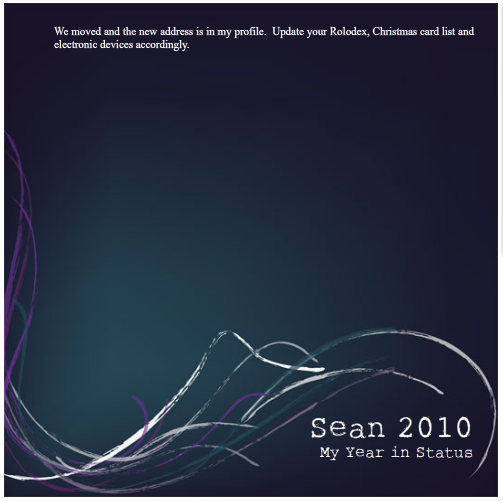 Including this entry I wrote 42 blog posts in 2010, I made 610 tweets and one Facebook status update. In July 2008 I talked about my fears of using Twitter and the decline in blogging, and I think you can be active on both…if you make the effort to do so. Unfortunately, I rarely tweet and I rarely blog. I don’t think my lack of tweets and blog updates are related, I think it’s just that I have been busy and don’t have enough time to fill a 140 character space with my thoughts let alone write a several hundred word update. I wrote a few posts in December to catch up on what I had been meaning to write in November so if I can write a few posts a month in 2011 I’ll consider myself active. I sent roughly 420 emails from my @gmail.com and @seangursky.com email accounts and 70 from my @hotmail.com address. I made two orders with amazon.ca, two with amazon.com none from amazon.co.uk and two with monoprice.com. I thought I ordered more online this year but I guess they were through other methods besides Amazon. Rough calculations are that I took nearly 7,850 photos with two different cameras this year. 7.65% of my photos taken this year were done in the two weeks in England/France. The majority of my total photo count came from my Canon EOS T1i/500D which had over 5,350 actuations and the Canon 5D had 2,500 actuations. 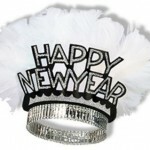 2010 is in the books, 365 days until I count it down all over again. For a while I had been entertaining the notion of upgrading some of my camera gear. I thought of investing in a Tamron 17-50 f/2.8 or maybe a faster prime. This lead me to do some retrospective on Sean Gursky: Photographer. I understand that the gear doesn’t make the pictures but it helps in being able to capture a specific shot you may have been unable to before. During this time I read an entertaining, and frightenly accurate, article about the upgrade path that people take when getting into photography. With the exception of upgrading my point and shoot camera I saw myself in all of these situations and I’m certainly not alone with that. With the trip to London weighing on my mind I thought about the photos I would improve on or what I would do differently and looking over my photos I noticed a common trend in my pictures: I liked architecture, lines and wide shots. I didn’t do a lot of action or sport shots where I required an intelligent auto-focus and I started to contemplate a move to a full frame camera. I had read about a full frame sensor being the promised land, and once you go full frame you don’t go back. I had one EF-S lens and another EF, the EF-S lens would not be compatible with a full frame camera so I looked to sell my Canon T1i and 17-85mm EF-S lens as a package. Thankfully a former co-worker was looking to make the DSLR jump and I was able to sell him my gear and put that money towards a used Canon 5D. 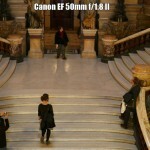 I decided on the Canon 5D over the 5D Mark II primarily for cost. The 5D Mark II was another $1,000 and I was okay with the smaller mega-pixel count and loss of video, plus the 5D is still a solid camera and well recommended for anyone who wanted to make the move to full frame. The 5D is no longer available new so I looked online for a deal on a used one to come along. I scoured the Photography on the Net marketplace forums for a good condition Canon 5D and when one showed up for the right amount I acted fast. Because all I had was a 50mm f/1.8 lens I was able to get a 85mm f/1.8 and 24mm f/2.8 lens to complete my gear list, and this gave me three very fast and versatile lenses without adding a lot of weight. 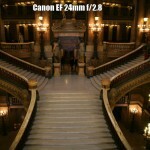 I have enjoyed the move to the Canon 5D, but I miss some of the automatic features like sensor cleaning. Being responsible for cleaning the sensor has been an interesting experience. The full frame cameras are more susceptible to dust and with primes I am switching lenses more often so there is a greater chance of dust to get into the body. I spent a few weekends working on the perfect sensor cleaning wand, gathering the right supplies and after multiple cleaning attempts I improved my skills and am ready for the next required cleaning. I have also found the metering to be a little unreliable. I find I have to underexpose my images, especially if I am on Tv or Av setting. However, the cons I have are greatly outweighed by the pros. I have found 24mm on the full frame to be incredibly wide, and when I would switch from 50mm to 24mm to shoot the same scene the difference was drastic. The sliver thin depth of field is huge and not having a flash on the body hasn’t been a problem because I can open the aperture up, turn the ISO to 1000 or higher and still capture the scene. I don’t plan on upgrading cameras anytime soon, but I doubt I will return to a cropped body. The 1.6 sensor size is beneficial when you are trying to get some reach but I don’t often get into situations where I need that extra distance. I would like to have a 70-200mm f/4.0 lens in my bag for times I require a zoom, but for now the 24mm, 50mm and 85mm lenses are a perfect trio. Because of the body change I have also found new appreciation for my 50mm f/1.8 lens. 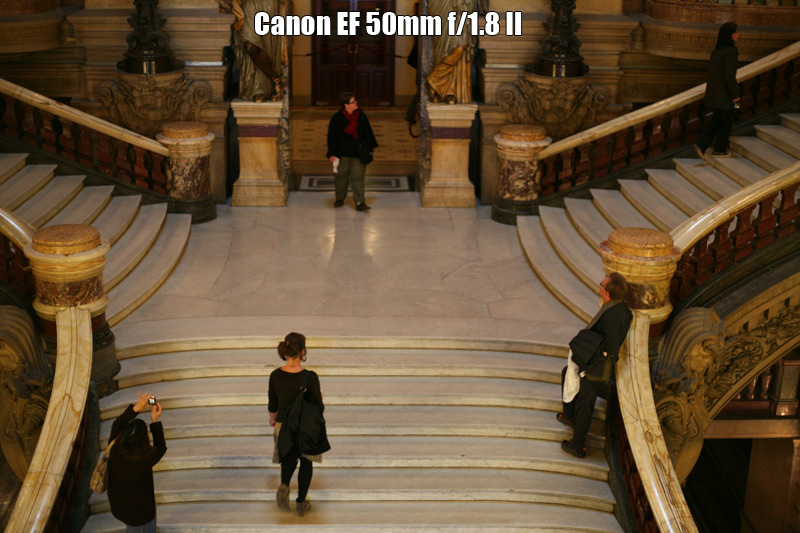 It was useful on the Canon T1i but on the Canon 5D it is my primary lens and was used for 90% of the photographs on the England/Paris trip in October. It is perfect and being the cheapest lens in my bag is saying a lot about how impressive the nifty fifty is. Overall I am very happy with my decision and the 5D has challenged me to be a better photographer, and when situations are right, I feel I am up to the task. When we weren’t in London we were exploring other parts of the English countryside. First off was a trip up to the north. 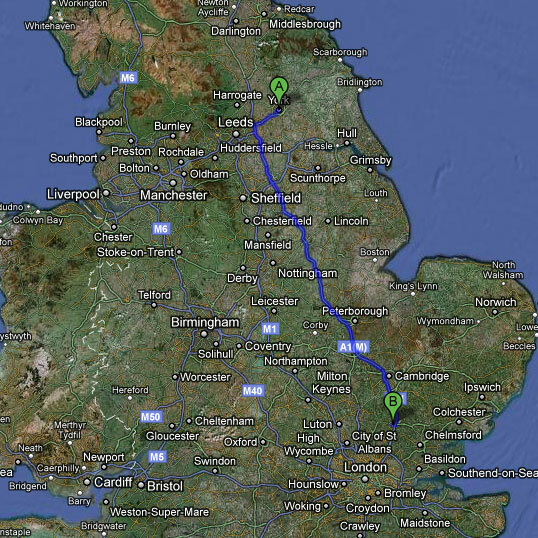 Three trains and three hours later we made it from Bishops Stortford to York ( ). York is known for the York Minster, one of the oldest churches in England complete with an incredibly large stained glass window. This was the first church we went into on the trip and it was hard to compare the glass at Sainte-Chapelle when the York Minster had so much throughout. We paid the fee to walk up to the tower at the Minster and the tight staircase with the worn out steps had just enough room to stick out your elbows for support. The view from the top was amazing and it was neat to see the sprawl of the town with Leed’s off in the distance. We explored the Minster for a bit more and then went out into the town. We went down to The Shambles, walked a bit of the original Roman walls and then went over to Clifford’s Tower. With six hours of travel to and from we were tight on time so what we saw after the Minster was from the outside. However, we felt like we got a good feel for the city and could see why it was highly recommended to tourists. Windsor Castle is the opposite of what the Royal Pavilion in Brighton was. The Royal Pavilion was a summer retreat for royalty, a party house that was decorated in different themes. Windsor Castle is proper, orderly and very regal. It was a beautiful castle with a lot of history, and I was glad to have an audio tour to help me appreciate where I was and what I was seeing. They were preparing the 150 person table in St George’s Hall for a formal dinner the following week. It would have been quite the sight to see it all laid out as rulers were used to ensure precision on the placement of everything on the table. We got to Windsor Castle in the early afternoon so my energy levels were low but it was worth the trip to see this iconic place. I would have taken more photos but there was no photography allowed indoors and the exterior of the Castle is so large you can’t do it justice in a picture so my camera was by my side for most of the trip. You read about these places and what famous events have happened or will happen and it’s nice to understand what it means to have a wedding at Westminster Abbey or how a reception dinner at Windsor Castle would look like. After two trips to Cambridge in 2009 we were no stranger to the city and quickly found our way to the shopping areas. After surviving Oxford Street, Covent Garden and Paris without spending any money on myself my purpose was shoes. Wrong colors and a limited size collection affected my search so I left without adding to my shoe collection. We went to Cambridge the day after we returned from Paris so we were tired and had to take frequent stops. We explored all the shopping areas, walked and then walked some more, ate too much food at Nannamexico and slowly made our way back to home base. We didn’t have the experience we thought we would at Cambridge, but if the shopping had been successful and we weren’t going at the end of our trip I think our mood would have been better. I think it’s pretty telling that there were no photos from Cambridge either, I wasn’t feeling it enough to take the lens cap off. Iceland is now the world’s #1 exporter of volcanic ash. Previously our main exports were reindeer bones and giggles. Without a doubt one of the highlights from the trip was one didn’t plan for. Our departure from Gatwick Airport on October 30th was delayed for an hour due to a medical emergency. After things were sorted out we were bound for Calgary. An hour into the flight the flight crew asked the infamous question if there was a doctor on board. You could tell people stiffened in their seats and chatter started. Shortly after the pilot announced that we would be making an emergency landing in Keflavik. The fuel was dumped and we made a quick decent down to the barren island. I have always wanted to see Iceland and was pretty excited to see what I could from the airplane. Once the medical emergency was dealt with we were preparing for take off. The safety instructions were quickly run through by the flight crew again and then the pilot announced there was a tire pressure gauge issue and he couldn’t resolve it from the cockpit. He called for an engineer from the airport to assess the situation. A little more time passed and the pilot announced that the engineer was not trained with the Airbus A330 we were on and the nearest engineer who could remedy the problem was in Glasgow. The plan was to fly someone en route from a Toronto – Glasgow flight or fly someone in, but that wouldn’t be for another twelve hours. They were making travel and hotel accommodations for the passengers and we would be let off the plane shortly. We slowly filed out of the plane into the baggage claim area and waited for signs of our luggage. It would be easy to criticize how Canadian Affair (Thomas Cook) handled this situation but seeing that they had to make quick plans for the passengers they did a fantastic job. However, a little more information on what was going to happen next would have helped. While waiting for our luggage a lot of us broke off into groups and talked about what we heard or knew of the situation (medical, mechanical, where we’re going). It was interesting to see that the groups that were formed were based off of where people sat on the plane. Slowly our bags appeared on the conveyer and we went through an empty airport and into an awaiting bus. For the next 30 minutes we were travelling from Keflavik to Reykjavík. The sun was setting as we drove so the mountains became silhouettes and the water became dark but we were in Iceland, something that made me chuckle when I thought about our situation. Our bus dropped us off at the Grand Hotel and it was the nicest hotel we’ve been in in years. The staff at the hotel was incredibly accommodating, they handled a good portion of the passengers (some went to another hotel closer to Keflavik) and the stress of going from minimum occupancy to full was taken in stride. The supper they gave us was amazing and the dinner really showed what this experience meant for everyone. People were inconvenienced and put out but everyone was generally happy and smiling about it. We shared a dinner table with two ex-pats and someone who was moving to Red Deer for work. Complete strangers only hours ago we were talking about Tim Hortons, life in London and how unique this experience was. When supper was over I returned with my camera to take photos of the hotel and lingered around the Reception area when we heard that the buses would be coming at 3:30AM to take us to the airport. It was nearly 11:00PM and at the end of a long day it was time for a quick sleep. At 2:50AM we received a wake up call, packed up our bags and headed downstairs for a nice breakfast. Again, the staff at the hotel did a great job accommodating us and I saw the same faces serving us dinner helping with the breakfast. When we arrived at the airport the friendly atmosphere we experienced at supper carried on. The usual rush to get on the plane was gone, people were talking to each other asking how their night was, others were offering their overhead luggage space to people a few rows down who had none; we all went through a fun experience and were no longer strangers on a plane. We may have only been in Iceland for 16 hours but I had my passport stamped and bought a shot glass (standard procedure when we travel to a country) and now want to return and travel this amazing country properly. As for the medical emergency, when we left on October 31 the passenger was still in Intensive Care in Reykjavik but their outlook was good. That’s it! That was our big trip for the year. We have talked about our next destination and have discussed an all-inclusive somewhere warm but Iceland was bumped in priority and we will try to get there sooner than later. We enjoyed our trip to Marseille last year, but wondered if the negative points (smell, Gypsys and filth) would appear in Paris and affect our experience. In a word: No. Paris was amazing and we would gladly return. We knew of the stereotypes of Parisians but we found people in Paris to be friendlier than in London. There was ample garbage cans and the city was incredibly clean, even in high traffic areas. Any evidence of the retirement age riots from a few days before weren’t visible and had nothing but good things to say about the store owners and people on the street. We encountered one typical French waiter, but we went out of our way to find a fancy French restaurant so the language barrier we had would definitely lead to some frustrations. Leading up to our trip we did a lot of research on the various districts and the problems tourists had with them. 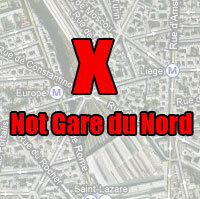 We picked a hotel close to Gare du Nord but not too close that it was unsafe. We selected a hotel in the ninth district (Opera) called Hotel Mogador and were pleasantly surprised by it. By European hotel standards it was roomy, you could walk around both beds and the bathroom was spacious and functional. The hotel was surrounded by weekday businesses so there wasn’t much night time activity by our room and this suited us fine. We were a 25 minute walk from the train station, multiple Metro stations were within minutes and we could walk to the Louvre. The staff was friendly at the hotel and had no complaints about the Hotel Mogador. I used Google Maps to find the route from Gare du Nord to our hotel, but instead of creating a route and printing that out, I looked on the map for the nearest train station and used that. Unfortunately the train station I used as a reference wasn’t Gare du Nord so when we arrived in Paris all of my directions were backwards. We had a few false starts trying to find the proper road, and after returning to the train station we found an actua map and headed off in the right direction. We found the hotel before dark, unpacked our bags and set out in search of food. We took baby steps to get comfortable with the area, never wandering too far off a main road. Our first meal was at a restaurant chain called Bistro Romain. Thankfully the restaurant was pretty lenient towards English speakers so I was able to order and make it through the meal without issue. For dessert I had crème brulée, a trend I could continue for the next two nights. Monday was going to be a big day, starting with the three hour tour from Photo Tours in Paris. Jenna found this activity on TripAdvisor and was immediately interested, but it took me a bit of time to come around to the notion of it. I spoke with someone who had recently taken the Photo Tour and their positive experience convinced me to go and I was glad I did. I know how the camera works and basic composition but I was concerned about what I would learn from the walk and in the end it was definitely beneficial and very enjoyable. I learned how to take the skills I have and do things differently, to change the photo by making subtle adjustments. I was made more conscience of depth of field to construct a photo and was given advice on how I could apply different techniques in day to day photography. Our tour guide was incredibly knowledgeable and provided a good mix of Paris history and fun on the tour. We went to areas of Paris we would have missed otherwise, specifically the lock bridge on Pont des Arts. I took more photos on this three hour walk than I did on the first week of our trip. I fell in love with Paris because everywhere you looked there was something amazing. Perhaps I am romanticizing our experience but the photo walk opened my eyes to the beauty Paris has and I kept seeing it for the remainder of our trip. When our walk came to an end we had an overpriced lunch at La Coupe D’or and headed to Palais Garnier. We begrundingly paid the increased admittance fee, but once we entered the main area we regretted nothing. Palais Garnier was one of my highlights on the trip, and being in the place that inspired Phantom of the Opera was quite the experience. 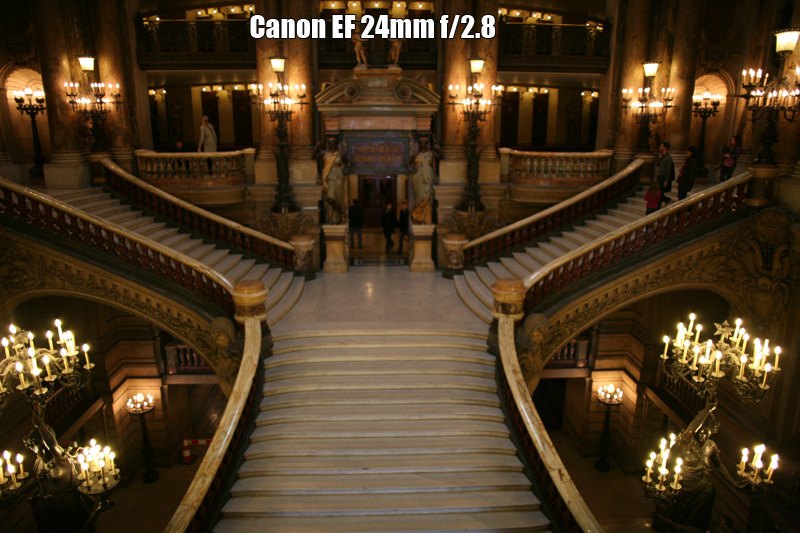 Everything about Palais Garnier was beautiful, but the Great Hall is worth special mention. The chandeliers, tall windows and gold made this a wonderful sight to see. From here we took the Metro to the Eiffel Tower. In the scheme of things the Tower stands out. It’s big and metallic and doesn’t fit with the vision I have of Paris, but it was certainly impressive to be at the base of this huge building and looking up. The crowds were overwhelming and the lines to get to the stairs or onto an elevator were enough motivation to stay on the ground, we were glad we saw it and don’t regret not paying to climb any higher. We still had a tonne of energy and wanted to find Les Invalides. We followed street signs and eventually walked up to the Gold Dome. Ticket sales were closed so we walked around the open air exhibits and then out towards Pont Alexandre III, the second highlight of our trip. This bridge is Paris beauty. The sculptures, decorations and lamp posts were beautiful. When the sun started to set behind the Eiffel Tower it felt like this bridge was made for this view. We watched the Eiffel Tower get lit up and then headed back to the hotel in search of food. We were craving pizza and had some at a little place called Tivoli Pizza not far from our hotel. We also purchased a bottle of wine from a convenience store and had that to close out our first full night in Paris. We awoke Tuesday morning sore and tired. We overdid it on Monday and were paying the price today. We wanted to spend the morning at the Louvre but were disappointed to find it was closed on Tuesday’s. We walked around the Jardin des Tuileries and then set our sites on the Arc de Triomphe. This meant walking along the long Avenue des Champs-Élysées. Landmarks in Paris are so big that as soon as you can see them you think you can walk to them, but you don’t realize that you will spend 45 minutes walking and your destination is still a small dot in the distance. Eventually we arrived at the Arc and were amazed at its size. I was curious about the traffic circle and couldn’t figure it out. As soon as I thought I understood the pattern a small motorcycle would cut through traffic, causing traffic to stop on either side, and then I would be back to square one. Thankfully there is an underground walkway to the Arc as I couldn’t imagine how dangerous it would be to cross eight unmarked lanes of traffic. Sadly access to the top of the Arc was closed that day as well so we looked around the Arc some more and then headed to La Sainte-Chapelle and Notre Dame. Sainte-Chapelle is known for beautiful stained glass windows but we found it a little disappointing. There was an 8€ admission charge and we spent more time waiting in line than we did inside the building. The stained glass was undergoing restoration, and perhaps when it was completed it would look good; but it was a simple building and with only the basement and main room to see we felt that the admission did not justify the beauty. We walked over to Notre Dame and felt better about our detour to Ile de la Cite. Notre Dame was free, and a little more crowded, but I enjoyed the look of it more than Sainte-Chapelle and was pleased to have seen such an iconic church. After this we went to the Les Invalides to do it properly. Sadly, our exhaustion levels were pretty high and with most of the items were without an English translation I felt that I was dragging my feet looking at one French thing and another French thing. We skipped over a good portion of the museum and jumped to the Golden Dome. The ticket cost for Les Invalides was expensive but at least we saw the decadent and grand tomb of Napoleon. We felt that we covered a lot of what we wanted to see so we headed back to the hotel to get ready for the night. Our last night in Paris was devoted to a fancy meal at a restaurant called Le Vaudeville. It was total French submersion and I didn’t understand what I was ordering. When the waiter asked me “medium?” did I only realize I was ordering meat and hoped for the best. It was a unique experience and were both pleased with what we ordered, especially the crème brulée, which was the best of the three I had. Jenna had a starter of caviar, confused the waiter and we had a bottle of wine to ourselves. How’s that for diving into the French experience? We headed home and finished the wine from the night before and let exhaustion take us in. Near our hotel was a convenience store called Chez Jean. They had a small breakfast meal that worked well enough, but after two days of breakfast there we found their coffee to be forgettable and the consistency of what was available varied depending on how early it was. On the third morning we went elsewhere and literally right across the road was a small bakery that had delicious pastries that were cheaper and more delicious than anything we had a Chez Jean. It felt that after a few days in Paris we got the hang of food and were getting better meals for cheaper, but we had to experience the tourist price gauging before we were motivated to look at alternatives. Some of the best food we had was from little bakeries we found while exploring the city. Wednesday had a great breakfast but it was after a slow start to the morning. We packed our bags and waited in lines at the Louvre. Seeing a free bag check area made our day that much better as we weren’t burdened with our heavy and awkward packs. Surprisingly I was pretty interested at the Louvre. We got the Mona Lisa out of the way first and like everyones reaction: it was crowded and small. It was surreal to be in the presence of such an iconic piece of work that I felt like I didn’t truly appreciate it. We wandered the Louvre for three hours and I had a good time. Some areas were more interesting than others, I was really moved by the Venus de Milo and it stood out as a Louvre highlight for me. The Sphinx and Moai (Easter Island Head) were other favorites. Near the end of our walk we ended up in a sculptures exhibit, and to spur some energy I switched lenses on my camera to the wide 24mm and photographed the sculptures. It could have been the freedom from the crowds, more light in the area or just posing a challenge to myself, but I had a lot of fun in sculptures and I think my energy level showed in the photographs. We finished up in the mid afternoon and made our way back to the Gare du Nord train station. We stopped along the way for souvenirs and to act on some window shopping we did earlier, but we walked back to the station without issue and had plenty of time before the Eurostar took us back to the UK. When we arrived in London it took a bit of time to get out of the Paris mind set we had, I was ready to use what little French I had if I stepped in someones way or was trying to get through a crowd. Eventually my barrier came down and I slide back into the British way of things. We miss Paris and would love to go back and see the things we missed. Our short list would be to visit the Catacombs, see Sacré-Cœur, take a day trip to Versailles and spend time wandering around. For now Paris will have to wait. The final post will talk about day trips we made within England and our unexpected night in Reykjavik, Iceland.